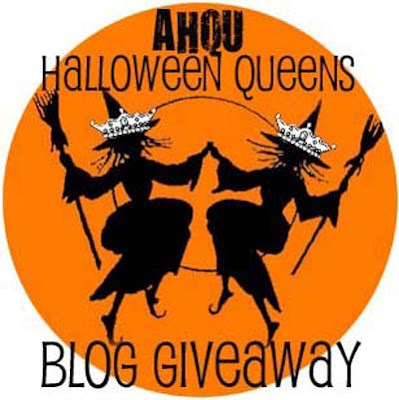 The Halloween Queens are celebrating their Bewitching season with a giveaway! If you haven't started decorating for this Halloween season this will get you started!!! 1)Comment on this post. Tell us how much you love Halloween!! Be sure to leave your email addy so we can contact you when (must always be positive) you win. 2)Share this giveaway on your blog, linking back to the Queens! Be sure to let us know you did this. 3)Finally, follow us! We will take you to places unknown! Bwahahahahaha! That's three possible chances at winning one of the following Halloween works of art! Please note that we can only ship in the USA. The winners will be announce Tuesday September 22, the first day of Autumn. Made with scented, colored beeswax and rubbed in spices for a yummy smell. They measure 1 1/2" by 2" by 1/4" thick. You will get the set of 4. Embellished with German glass glitter and black paper garland. He measures 5 1/2" tall x 10" around. Sculpted with paper pulp and paper clay. He's an iddy biddy fellow measuring only 4". Painted with acrylics, stained, washed with an antiquing glaze, and sealed. Hand drawn with artist pencils and hand painted. Stands 11" with jointed arms and legs. 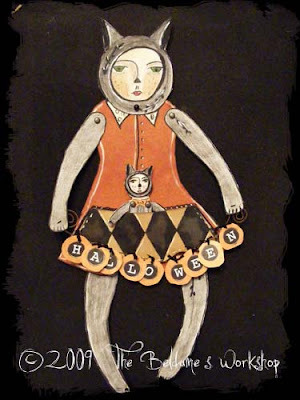 Made from Bristol board, aged papers, rusty wire and a paper Halloween banner. Baby kitty is removable, has jointed arms and is approx 2" tall. Oh Halloween, you hold the key, that frees the little girl in me. Hand painted 9" x 7" wooden plaque. Tiny buttons embellish each corner. Ready to hang with a satin ribbon. Made with a coyote gourd, clay and small wooden thimble. Painted, aged and sealed with a minwax stain. Thanks for stopping by! Hope you have time to visit each of the Queen's Blogs. Why do I love Halloween? The smell, the ooly, gooly, creepy, slimy, goulish creatures that creep about on this wonderous day and night! I especially love the little trick or treaters and my ritual is making spooky popcorn balls for them!! I would love to win, so please enter me, and thank you for the give away!!! I will post a link to this blog also, it's wonderful! I live Halloween all year long. We love Halloween so much that we must restrain ourselves to only decorate the inside of the house before October. All of our inside decoration went up Labor day weekend! We do a yard display of about 97% ooak handmade decorations (zombies mostly). Are yard display and decorations get bigger every year even though we live in a pretty rural, low trick 'r treat traffic area. We do it for the couple dozen kids that stop by, or remember our house from years before. We just want to help the kids and their parent create wonderful Halloween memories like we had as kids growing up. I think and dream Halloween 365 days a year, you could call me obsessed and I would happily agree. I would love to be entered in (and win, stay positive right) your blog giveaway. I'm am also now a follower of your blog. I arrived here via The Gourdqueen's blog. 1) Commenting! Well, I LOOOOOVE Hallowe'en. I love dressing up--and ANY day to do that works for me! :) Then there's the scary movies, the carved pumpkins, trick-or-treating, the parties, haunted houses, ghosts and ghouls...oh, too many things to count!!!!! I just found your blog and love it!! I am definitely a follower and I will mention your give-away on mine! I LOVE Halloween because it has always been my son's favorite holiday! We have decorated inside and out since he was 3 years old and he is 19 now!! I love the scents and crispness in the air! I love the leaves turning and the blustery nights when who knows who could be lurking about!! I am totally in love with Samhain! I love everything about it! I am a avid skeleton fan and I have them around me at all times, all year around - we even take our baby skeleton on vacations with us! Heck, I even decorate our Yulemas tree with the little guys! oooh I Do love Halloween!!! I love it so much i wish i were a kid again. My kids are getting too old to go, yeah right, (its not cool) Which i never thought was possible, Soon i'll have no excuses!!!!! Hehe I love anything scary, all the way down to that extra long 'wait' in the really scary dark 'haunted houses' rooms, i will stay, long enough to get a tickle in my stomache, or until someone touches me! Eek!!!!! I do so LOVE Halloween! What wonderful Halloween fare!!! Off to my blog - www.laceyjaneprims.blogspot.com to annouce this newest give-away. This is my favorite time of year!!! Fun giveaway ~ THANKS for the opportunity to play and to follow this cool blog! I'm so happy to have found your blog. We love Halloween and really enjoy decorating and dressing up for several parties we attend each year. This year's decorating will be even more fun as we're moving into a new house this week! I have become a follower & subscriber. Thanks for the great giveaway and the great blog. I am a new follower now that I found you. 2. The decorations...I mean who doesn't love skulls, pumpkins, witches and ghosts. How much do I love Halloween? 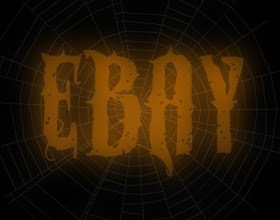 I'm doing 31 Days of Halloween on my blog... and I've been planning it since mid-August. I really, really love Halloween, lol! and I just became a follower (though I have no idea how I missed this blog before now!). Got my fingers crossed for this one! I live for halloween. The smell of the season, the crunching of leaves, the pumpkins, the chance to play at being something you aren't. For me, it's the most wonderful and magical time of the year. I keep halloween vintage and art figures out all year around my home, I just love them and can't pack them away. Love it! My favorite season, my birthday month, costumes, candy, witchy everything! The scent of pumpkin, spice and patchouli! 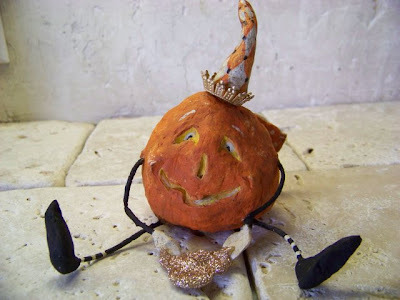 I love Halloween and I love this blog!!! I want to be entered Pleeeze!!! Who wouldnt love a holiday where they hand out free chocolate? My favorite part of course is helping my girls get all dressed up for parties and trick or treating! You just never know what they'll decide to be! I'd love to be entered in this! OOOO, I love Halloween!! I have special memories of being a child and trick or treating with my mom. Great fun!! She made me a cat costume I wore for 3 years in a row, I love it. Merry Meet...I've posted a link to your blog on mine. I really enjoyed looking through all your posts. Halloween is my favorite holiday, when I was a little girl I wanted to grow up to be a witch and now I am one. Hope you have a successful give-a-way. ooooo, so exciting! Please enter me in this wonderful giveaway! Halloween of course is my life's work and my passion being an artist myself its what drives me all year long...to be a kid again once a year. I have posted the giveaway on my blog and I am already a follower of AHQU of course! Thanks so much, and Happy Haunting! I love Halloween and Halloween Art and this is an awesome art give away! I would love to win any of the items! I have linked your give away on my blog (http://blog1.ardoria.com) and also am now a follower. I love love LOVE Halloween! It's such a stress-free holiday, no big dinners to arrange or stressful plans to make (who to visit first, where to do which meals, presents, etc.) it's just fun and treats and spooks! How great! I just posted on my blog, now crossing fingers! I blogged about your giveaway in my weekly Freebie Friday post. Thanks for this great giveaway! 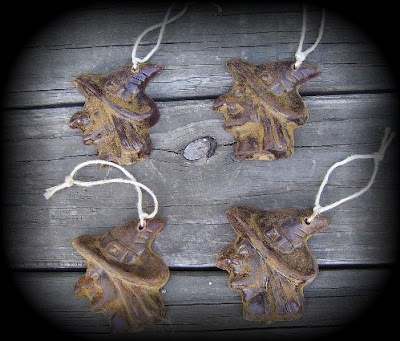 I just found your blog today and I have posted your link at my blog http://mysticwoodprimitives.blogspot.com/ > I would love to be entered into your contest but I would have become a follower anyway because I love halloween everyday 365 days a year. It is my holiday, it's everything about it from the fun and decorating to the deep spiritual meaning it has for me. I look forward to visiting often because it's always Halloween! I love the crisp nights, the smell of fires and kids squealing with laughter. I love the night hot tottys and getting the kids into bed. I love that my friends and I start planning in August for this night. "Do we have an adult party? A kids party?" It's exciting to decorate early and get ready for the season of parties and friendship. Why would a person not love Halloween? The smell in the air, the decorations, the witches and ghouls. I love the creepy air that it brings with it and it has better decorations than Christmas (at least in my opinion). I LOVE Halloween so much! It's a time for lit up pumpkins, fun witches, lots of candles to scare away the spooks, fun ghosts, scary, but not too scary movies, a time I can bring out all my Halloween pumpkins I have saved through the years and display them while they light up my bedroom. Yes that is where I display them! It's a time where they put fun haunted house shows on tv too. It's also a time for dressing up in your favorite costumes and seeing the little ones dressed up in adorable costumes! I would love to win one of yall's pieces to add to my collection, although they may be out all year! :) I'll put a post on my blog asap! 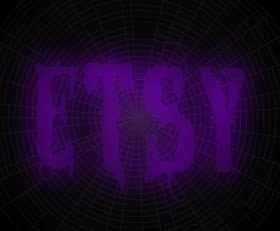 I would love to be added to your giveaway...I love halloween the spooky scarey things that come with it. And love to watch the little tricker treaters.. I'm a follower now and will post on my blog. I'll let you know when i do. Just posted your give away on my blog and linked it back to you. Thanks for the wonderful chances. Found this thanks to the post on The Painted Pear Basket's Blog! Yeay! I am now a happy follower and I will add the info on my blog, too! My kids are grown but now it's even more fun with the grandbaby! Love ALL the spooky, oooky, Halloween stuff! So LOVE Halloween! I can make Halloween items all year! By far my favorite time of year. I will be posting this on my blog! Ladies of Halloween I have to admit I don't love Halloween like you guys but, I do love the little kids that come out and the big kids too. I love Halloween! I love the idea of mystery and the memories it brings back. We use to go on a hayride and trick or treat all the farmers in the surrounding area and then come back for a big bonfire! I also love the inspiration on so many blogs this time of year. Really gets me in the mood for the holiday :) I also posted a link to the give away and signed up to follow. I think there's some fabulous artists here! What do I like about about Halloween....... "I'll get you my pretties" been ,mixing up all kinds of potions for you. Oh, pick me, pick me!! Love the prizes!! You ladies do awesome work. I posted a link on my side bar at http://sherryscabin.blogspot.com , too! Please drop my name in the witch's hat. You've got me in the mood to hang spiderwebs...oh wait...no need...seems I've already got the real thing. Halloween is the best because of all the fun creatures that come out, the candy and the lovely fall time of year...and the best of all is that it is my birthday!!!!! The best day ever to have a birthday when all the other spooks celebrate with you!!!! Please drop my name in the witch hat for the drawng. Hi darlin! what a wonderful giveaway! 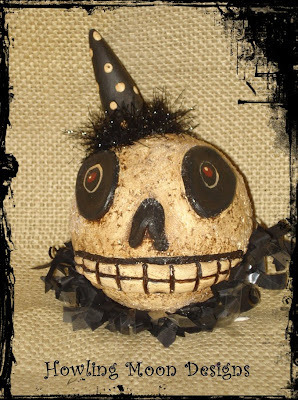 I absolutely LOVE the work of Miss Linda the gourd queen! And of course all the others as well. Please enter me. I have your giveaway posted over at my blog if you would like to see...and while your there, sign up for my giveaway if you would like as well! I am following. What a spooktakular giveaway, thank to you all!! Mmm, what wonderful giveaways! Halloween is absolutely the best holiday...when else can you be whatever you want and no one asks questions. Thanks for hosting such fun! Oh my goodness what wonderful goodies! I love Halloween so much--I KNOW I have more Halloween decor than any other holiday!! woo hoo I'm gonna follow you too! Wowee, this is one heck of a giveaway! 1. I love Halloween just cuz. Always have, always will... when I start seeing the fall stuff at the craft store my feet, by their own volition, take me there. 2. I'm following you now, awesome! 3. I'm going to link back to your blog on mine. Oooh, fall is definitely in the air! Wish me luck! Please enter me into the giveaway. I love Halloween so much I am transforming my bathroom and office space into Halloween all year long! I will also post your giveaway on my blogs. Don't you just love designing for Halloween!! It's great seeing other artists styles and creations! I am also going to post a link there for your page. I am now following this blog also. HALLOWEEN! I am planning my party allready....have been for weeks! I love HALLOWEEN. Need more spider webs! LOL! Following and going over right now and tell all about this give away in my blog! I'd love a chance and I'm now a follower. I look forward to Halloween all year. The weather is great and my family and I love decorating for it. I love the look and smells of Halloween - the colors - rich and earthy, and the spice scent that fills the air! I love the chill, from weather or being spooked! And out of all the holiday/seasons - the art work that comes from Halloween is hands down the most creative work I've seen, I'm always pleasingly surprised! It's frightfully fun! How fabulous! I love Halloween but not nearly as much as my sister. She was born just a couple of days before the holiday and she really does it up right! And I love to share goodies with her! We would love to win! Thanks! I love halloween!...my birthday is only 4 days after. Halloween has always been one of my favorite holidays. So lucky that I have two little girls and I get to dress-up every day now!! Would love a chance to throw my name in the hat for one of these crafty halloweenie lovelies! Love, love, love Halloween! The creepier the better! Seems to stir my imagination much more than any other Holiday. Thanks for an inspiring Give Away! What an awesome giveaway! I love all the little goodies! I have posted about your giveaway here: http://loralynnsart.blogspot.com/2009/09/simple-womans-daybook-3.html and I am a follower too! What a great blog! I just found you guys thru allsorts, and I'm hooked. I'm signing up to be a new follower! I just posted last week on my blog that I'm sooo ready for Halloween. I love 'booing' my neighbors, making special tasty treats with the family, and seeing all the wonderful costumes. Thanks for the opportunity to win such great creations! Ooooooh I love halloween! Nothing better than leaves falling, trick or treater and candy corn! I would love to be in your drawing! When I win you can email me at theantiquepallet@embarqmail.com hee hee! And I have posted a link on my blog too! I've also posted this on my blog too! Halloween!!!! My favorite of all holidays. I actually start the halloween itch to decorate the end of October. My son has a birthday Oct.12th and always got a Halloween themed cake! It's such a beautiful time of year full of color. Rich oranges, yellows, golds and reds. Not to mention all the witches, ghosts, pumpkins and goblins you see about! Loved your blog and will be following you. What a wonderful giveaway! What do I like about Halloween? ghosts. goblins & candy! OH MY! What a wonderful giveaway ........ I love Halloween for all the witches in the air. I posted about the giveaway on my blog and now I am a follower of your bewitching blog. thank God I stopped by Starla's and learned about your giveaway! Please - toss my name in the hat for this awesome giveaway!!! Why do I love Halloween? I adore decorating the house and waiting for all the trick-or-treaters coming door to door! This has always been my favorite holiday growing up and hate to think of so many mean ppl out there trying to ruin the fun for the little ones. What a great giveaway, thanks to everyone who has generously donated their creations. Count me in! The Davis Graveyard takes up all of my free time 365 days a year!! I love Halloween. One because it is in Fall which I love and 2 because it;s just a fun holiday filled with candy and goodness. Hi, I love the mystery around it, love witches too. I need to win this giveaway. Please enter my name on it. I will post it in blog today. I am now a follower. I've posted a link here from my writing blog. I have become a follower and I posted on my blog about your giveaway. Fabulous giveaways! I would love to win any of those offered. I LOVE the smell of burning pumpkins, the taste of candy corn and the chill of Autumn in the air. Halloween parties are fun too! These are gorgeous! The queens have outdone themselves once again! I do love Halloween! I so enjoy the colors of the season...oranges and blacks...Halloween is just a fun time! I love everything about Halloween but I think I like decorating the most (black cats being my fave!). Thanks for the chance. I set and wait for things to go bump. Very creepy, Right?. Hearing nosies of "pitter patter" in the night. All lights a glow and candles flicking as the wind sings. Wow, now who doesn't LOVE HallOween! 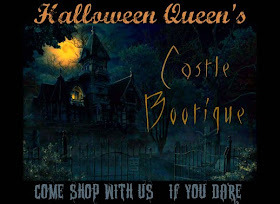 Oh here is my blog where all of The Halloween Queens givaeaway is posted.. Yippee!! We LOOOOOVE Halloween around my house. Enter me, enter me!! :) What a fun giveaway!! I tweeted and linked back to you! What a fun giveaway! I love Halloween because it is a time to be a kid again and let your imagination sore! What a great giveaway. I love everything Fall and Halloween...I have a Halloween party every year for our friends, family and neighbors and we always have a ball. I have become a follower and have posted your Giveaway on my blog. Good luck to everyone. Halloween is one of my favorite holidays. I had a huge party last year! Halloween has always been my favorite holiday. As a kid, it meant costumes and candy. As an adult...well, ok, it still means costumes and candy, but so much more. Pure fun. I love Halloween. We try and dress up for the kiddies when they come by. In Estonia we have quite similar holiday - Mardipäev and Kadripäev.And these are fun. OH please, please sign me up. Halloween is the most wonderful time of the year. I love to decorate and dress up and become something you don't get to be every day, what a mystical night of make believe. I love it! Please sign me up, and I have posted your giveaway on my blog and linked it back to you. Ooooh! All those goodies would look great in my house. It's Halloween year round, here. I would link you, but my Halloween blog is kind of defunct since I started posting my photos on Flickr. Whats not to like about a night of howling, treating and tricking...not to mention a month of decorating. I love Halloween because I love to decorate with all the orange and black colors and I love seeing everyone's outside decor! I always loved it when my kids would get dressed up for halloween and I'd take them out trick or treating. We had a wonderful time each year! Now, they're all grown up and out on their own.. and I now enjoy answering my front door to all the kids who come trick or treating at my home, all dressed up in their fantastic looking costumes! Plese do enter my name in your really neat giveaway!! Oh, no, I almost missed this great giveaway!! And, I'm also follwing this awesome blog!! OMGosh I found this site just in time for your fantastic giveaway! Holloween is a favorite in our house we love to see all the kids in costumes not to mention there is always leftover candy. I can't get enough of Halloween, thanks for the giveaway! We love Halloween a lot and look forward to a good costume party with lots of children having loads of fun.